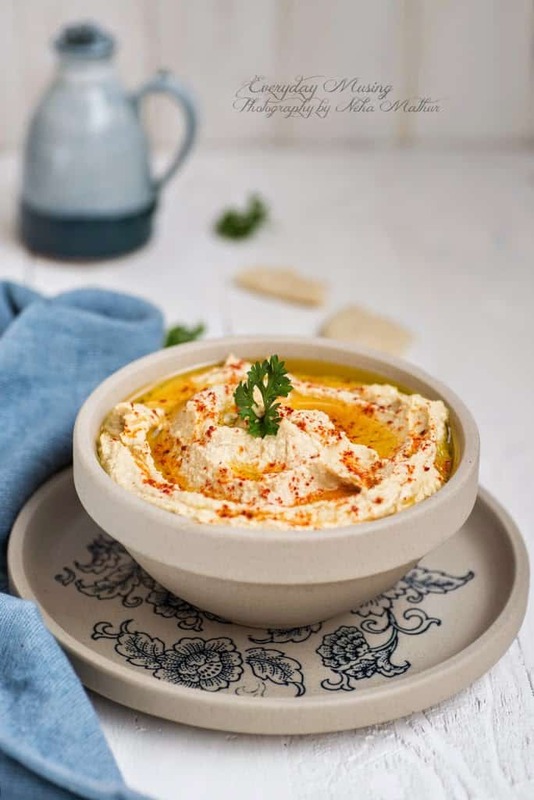 Hummus is a Middle Eastern dip made with chickpeas as the main ingredient. 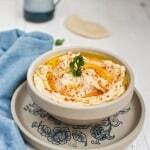 I was introduced to this delicious dip a few years back by one of my husband’s aunt who had spent many years in middle east. Made using chickpeas as the main ingredients, this dish is healthy with earthy and subtle flavours. 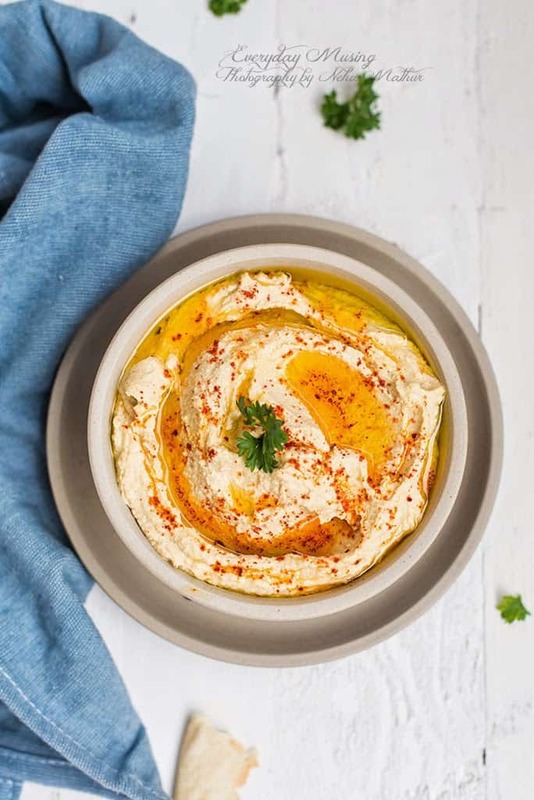 I instantly fell in love with this versatile dip. Serve it with crackers, veggie sticks or slather it over your bread slice to make sandwiches or even make it as your salad dressing, it tastes lovely in all it’s avatars. Although the ingredients are very basic to make it, a few tips and tricks takes it to another level. After making it innumerable times, I have come up with a recipe which tastes delicious each time. And the good thing is that you don’t have to buy any fancy ingredients to make it as this recipe makes it from scratch using basic ingredients from the pantry. Do try the recipe to make it from scratch. 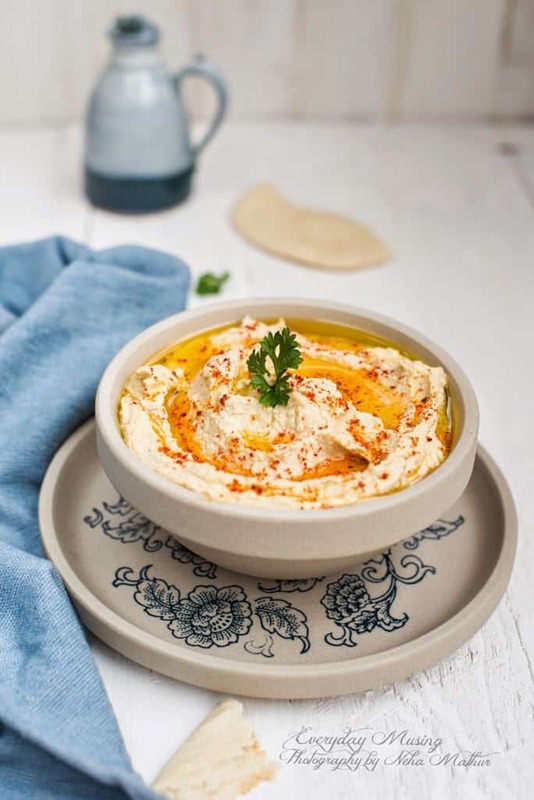 There are other hummus that I have also tried like Roasted Garlic and Pumpkin, Beetroot and Pumpkin Hummus are especially flavorful. Wash and soak chickpeas in enough water for 5-6 hours. Add chickpeas and 2 cups of water in a pressure cooker and pressure cook the chickpeas till done. Drain the water reserving 3-4 tbsp for the hummus. 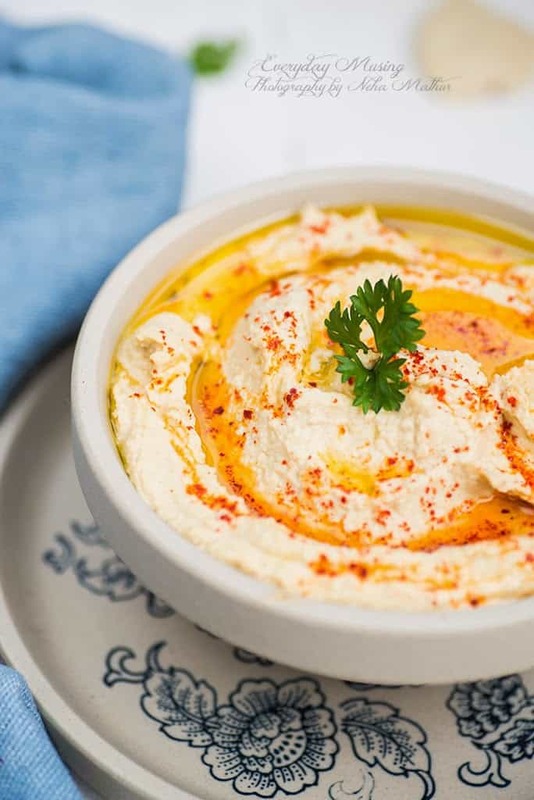 Add all the ingredients including the boiled chickpeas in a blender and blend to make a smooth hummus. Serve with pita or any other crackers.